Charles Wyplosz asked leading economists from the EU27 about their countries’ prospective negotiating positions vis à vis Brexit. Michael Landesmann and Robert Stehrer to shed light on Austria’s stance. In his new book “What To Do With the UK? 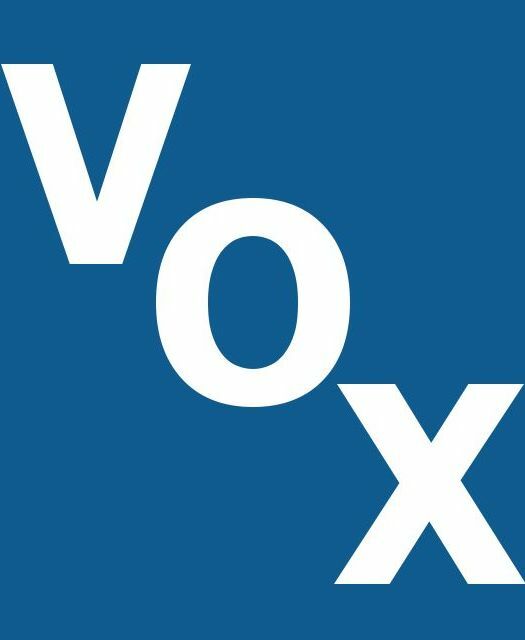 EU Perspectives on Brexit” published by voxeu.org, Charles Wyplosz gathered the opinions of 25 leading economists from 15 different EU countries and Switzerland about their countries’ economic relationships with the UK and their prospective negotiating position vis à vis Brexit. In their chapter on Austria, Michael Landesmann and Robert Stehrer shed light on the economic relations between Austria and the UK. Their analysis using the recently updated World Input-Output Database (WIOD) has shown that in ‘value added’ terms, Austria is dependent on exports to the UK – directly and indirectly – to the value of 1.2% of its GDP. With respect to exports in value added terms, the UK ranks seventh among Austria’s export partners, with a share in Austria’s value added exports of slightly below 4%. The industries mostly engaged in value added exports are transport equipment, motor vehicles, paper and paper products, chemicals, electrical equipment, and metals. Looking at foreign direct investments, the share of Austria in the UK’s total inward FDI stock from the EU27 is less than 1%. From Austria’s perspective, the UK accounts for 3.5% of total Austrian outward FDI stock, ranking it seventh among Austria’s FDI destinations. The number of people with Austrian citizenship who live in the UK is around 22,000 (representing 0.25% of the Austrian population), and about 11,000 persons from the UK reside in Austria (representing 0.13% of Austria’s population). Austria has been a major beneficiary of the Single Market, as well as of the 2004 and 2007 enlargement process. Austria therefore has a vested interest in an integrated market and also in free access to main export destinations, especially for industrial goods. Adherence to EU standards greatly facilitates such production and trade integration, and this would be reflected in Austria’s position in negotiations with the UK. In areas of industrial production and trade with the UK, we expect Austria to insist on as strict a compliance with EU standards as possible under the trade agreement finally reached in the negotiations. On the issue of trade in services, which will be an important concern of the UK in the forthcoming negotiations, Austria is no way a ‘rival hub’ to London as a financial and business services centre, although it has developed strengths in these areas during the phase of its integration with adjoining Central and Eastern European economies. We would rather expect that Austrian businesses would be interested in relatively unrestricted access to the City of London, which provides essential services, and similarly would support granting the UK relatively smooth access to EU markets. We would think that in this area, Austria would take a rather ‘soft’ line in the negotiations with the UK. Another issue is any quid pro quo arrangement regarding a possible contribution by the UK to the EU budget. First of all, Austria will be interested in the UK fulfilling its full budgetary obligations as long as it is a member of the EU, and also during a transitory period if the UK still remains a member of the Single Market during that period. After that, any concessions that the UK might want to negotiate in terms of preferential access to the market, mutual recognition arrangements, and so on might have to be bought by concessions by the UK on continuing to contribute to the EU budget, or on its participation in certain policy areas. We expect that the negotiations on budgetary issues will be quite hard and Austria, as a significant net payer, would want to take a strong stance in this respect. Migration is of course a ‘hot topic’ in Austria and, if the UK had continued to be an EU member, one could have easily imagined that Austria would have been amongst the countries that would have been in favour of adopting an ‘emergency clause’ to allow temporary periods of restrictions on intra-EU mobility. Concern over migration flows from new members was always high with both the first and second rounds of Eastern enlargement – during which Austria used the full seven-year restriction – and this will continue to be the case with any further rounds of enlargement (such as the one with the Western Balkans). Similarly, Austria might be one of the countries that would support a tightening of access by migrants (including intra-EU migrants) to social benefits (along the lines of that granted to David Cameron before the Brexit vote). However, we do not necessarily expect that Austria would lobby in this direction in conjunction with negotiations with the UK. This could change if a shift in the governing coalition takes place while the negotiations with the UK are still ongoing (there is talk of a possible early election before the mandatory date in 2018). The areas in which Austria would be very keen to maintain close relations with the UK are European student exchange programmes, access by Austrian students to UK universities, and the UK’s participation in EU research activities. Traditionally, the UK has been an important destination for Austrians studying abroad and for student exchanges, and Austria would be very interested in keeping this channel as open as possible and also in keeping down the costs for Austrian students benefiting from it. Any preferential access for EU students to UK educational facilities will thus be strongly supported by Austria, and we expect that in this area there would be general agreement amongst all of the EU27.